Kolkata which is the capital city of West Bengal is one of the most preferred destinations for quality education in India. Initially, in early days, the medium of the schools was Bengali and Sanskrit which later changed into the medium of English due to the British rule in India. Now, English has become the predominant language in all schools, colleges and Universities of Kolkata. Thus, students from all over the world seek admission to the most famous Universities and colleges in Kolkata. Kolkata consist of many renowned and famous institutions such as IIM Kolkata, Calcutta Medical College, West Bengal University of Health Sciences, and Jadavpur University and so on. 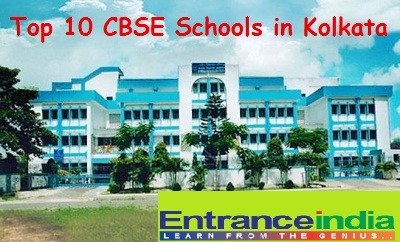 In this series, Kolkata also consist of best CBSE schools which provide best education in the country. This CBSE school in Kolkata is one of the internationally reputed institutions and it was founded by Dr.K.M.Munshi on November 7, 1938. The founders include Dr.Rajendra Prasad who was the First President of Republic of India, Pandit Jawaharhal Nehru who was the First Prime Minister of Republic India, Shri C.Rajagopalachari, the First Indian and Last Governor General of India and several other important leaders of Republic India. Facilities: Well ventilated big class rooms, audio and video rooms, Assembly hall, smart classrooms, Art rooms, laboratory, Library and so on. Official notifications are made on the official website for the admission of the classes above VI standard. Thus, parents or guardians please check the site for the important dates and buy the application form, fill it up with accuracy and submit it within the due date. Admission is possible only after written test and subsequent interviews. Kendira Vidyalaya No.1 CBSE School at Salt Lake City is one of the top most CBSE schools in Kolkata which is affiliated with Central Board of Secondary Education, New Delhi and its affiliation number: 2400002. This school was established in the year 1977 and runs as an Autonomous body under the Ministry of Human Rights Department, Government of India. As every branch of KV, this branch was also established mainly to cater the educational needs of the children belonging to the transferable Central Government employees, Para-military personnel including defense sector to provide common platform of education. Also to develop a spirit of national integration among children by providing innovative learning methods through collaboration with bodies such as CBSE and National Council of Educational Research and Training (NCERT). Facilities: The facilities which are inside the school campus are spacious class rooms, junior science lab, Biotech lab, computer science lab, Geography lab, math lab, Library, Arts rooms, games room, Medical room, etc. The admission process for the next academic year 2016-2017 is yet to be noticed. Thus, please check on the official site for more information. This CBSE school which was established in the year 1951 has now become one of the most famous and renowned premier institutions in India. The senior section of this school from the classes VI to class XII is situated at the southern part of the business district of Kolkata near Mino park whereas the Junior section from the class nursery to class V is situated at Palm Avenue of South Kolkata. Facilities: This top CBSE school in Kolkata consists of multipurpose hall, math lab, computer lab, separate rooms for physical education classes, games and other sports, separate laboratories for Physics, Chemistry, Biology, Computer science, Fashion studies laboratory, commercial art room, etc. The other supports provided by the school administration are emergency medical facilities, Transport facility, Counselling support, large library with more than 27,000 books on every possible subjects, Computer aided learning in the classrooms and so on. The curriculum which are covered for pre-primary sections are English, Number work, coloring, craft, dance, music, PT through EduSports. The curriculum which are covered for Primary section (Class I to V) are English, Hindi, Bengali, Value education, life skills, calligraphy, art, craft, dance, music, chess and PT. The curriculum which are covered for Secondary classes (Class VI to X) are English, Hindi, Bengali, Sanskrit, French, Mandarin, Mathematics, Fundamentals of Information Technology, Social Sciences, Environmental Science, Life skills and Value education. The curriculum which are covered for Senior secondary level (Class XI and Class XII) are Physics, Chemistry, Biology, Computer science, Mathematics, Business studies, Accountancy, Economics, Biotechnology, Multimedia and web technology, Office procedures and practices, Financial accounting, etc. The school has achieved highest aggregate in the subjects such as Commerce (96.2%), Science (95.8%), Humanities (95.4%), and Vocational (90.4%) in CBSE class XII board examination 2015. Admission notice for the upcoming academic year 2016-2017 has been announced. Please check the following link for further details. This school is an autonomous school under the Ministry of Human Rights of India and it is started in the year 1965 which is established mainly to cater the education needs of children belonging to the transferable central government employees, Para-military officers including defense service and so on. As on April 2011, there are 1073 KV schools in India under 26 regions including the head quarters in New Delhi. KVS Kolkata region is one among the 26 regions which consists of 46 KV schools spread across West Bengal and Andaman Nicobar Islands. To be more detailed, 44 KVS schools are established in the West Bengal and 2 are established in Andaman and Nicobar Islands. The main objective of the KVS schools is to bring integrity among students by providing best and common learning platform all over the country. This school has participated and bagged many awards and titles in most of the National and international Competitions and conferences. Facilities: The facilities such as Library, canteen facility, Transport facility, medical facility, laboratories for Chemistry, Physics, Computer science and so on. Admission notification for the next academic year 2016-2017 is yet to be announced. Thus, parents or students please check the official website for further details. This school was established on 1945 August initially as Montessori school which was later developed into Secondary school up to Class X on 1989. On 1993, Senior Secondary section was introduced with Science, Commerce and Humanities subjects. This school is affiliated with Central Board of Secondary Education (CBSE), New Delhi and its affiliation number is: 2430036. Facilities: This school has various facilities such as Air conditioned Auditorium Hall, Assembly hall, Play rooms, Library, Laboratories for all science subjects, A.C.Montessori hall and so on. Registration form will be available from December 2nd 2015 for nursery admission whereas the registration forms for the classes I to IX will be available during the last week of March 2016. This school was started in the year 1975 with 50 students and 5 teachers at 15, Park Street and was later shifted to the present building on 1980. At, present the total strength of the school is around 2000 and it is affiliated with the Central Board of Secondary Education, New Delhi. In 1986, first batch of Apeejay students appeared in Secondary (CBSE X) Board Examination and in 1998, first batch of Senior Secondary Students appeared in the CBSE XII Board Examination. This school has proved excellent academic records in recent years with CGPA more than 9.8 and above. Facilities: Laboratories for Multimedia, Web Technology, Physics, Chemistry, Biotechnology, fashion studies, Infirmary, canteen facilities, Transport facilities, Special education, NIIT classes, Classwalk classes, Co-curricular activities such as Spanish clubs, Literature clubs, Science clubs, Quiz, Dance, music and so on. The minimum age for the admission to the nursery classes is 3+. Admission is granted to the students for the nursery level after interacting with the parents and children. For higher classes, admissions are announced only based on the vacancy available. The students are selected through written test, group discussions and personal interview. Report cards showing clear promotion of the student. Admission for the classes XI starts on Second week of February 2016. Thus parents or students, who seek admission in this school, please refer the official website for any further details. This school which is situated at Moira Street was started to afford best education for the students for their progress and development. This school received NOC from the Government of West Bengal during 2006 and it is affiliated with Central Board of Secondary Education (CBSE) since 2008 and its affiliation number: 2430096. Facilities: This school has facilities such as internet supported library, infirmary, audio visual room, canteen, laboratories, co-curricular activities such as Guitar club, Hindi diwas, Music club, Annual Concert, Special Assembly, quiz clubs, debate clubs and so on. This school won in international programs such as “Asian Regional Space Settlement Design Competition” conducted by Johnson Space Centre, NASA. Also, this school has joined the International School Awards scheme this year which helps to add international dimension to its curriculum. Parents of those students are requested to present at the respected venues for the interaction session. Also, please bring the important documents such as Registration acknowledgement receipt, proof of residence, Last qualification certificate or mark sheet and so on. Registered candidates are only allowed to attend the interaction session. Admission informations for the higher classes can be checked through the official website. G.S.S School is founded by Sardar P.S.Sondhi and it is presently under Mrs. Ranjit Kaur who acts as a guiding light with her infinite inspiration to the staff members to reach the desired goal of the Founder. This school has classes between nursery and Class X only for girls and it is affiliated with the Central Board of Secondary education (CBSE), New Delhi. Each student is trained specially and separately for developing their intellectuals, cultural, moral and emotional abilities to the fullest. Thus, this school believes in the motto “Overcome Evil with Good”. The syllabus covered at the Kinder garden level are English writing, games, singing, dancing, art/craft, conversion, physical education, Hindi/Bengali classes, General Knowledge and so on. The syllabus covered for the classes I to IV are English, Hindi, and Mathematics, General Knowledge, Social studies, Art/craft, conversion and physical education. The syllabus covered for the classes V to VIII are English, Hindi/Bengali, Mathematics, 3rd language, art and craft, library and Physical education, social studies, etc. The syllabus covered for classes IX and X are English, Hindi/Bengali, Mathematics, Science, Social Science, Art, Library and physical education. Facilities: Examination halls, auditoriums, library, medical facility, play grounds, transport facility, labs and so on. Please check the official website for any official notification regarding the admission process for the next academic year. This school is run on a basis of “No profit and Loss basis” with a whole objective to provide education on low fees. The foundation stone of this school was laid by Shri.Jyothi Basu, Honorable Former Chief Minister of West Bengal during 1984. This school was initially started in the year 1992 with strength of 538 students. It first handled the classes from UKG to Class V and later handled up to Class VIII and Class IX successfully with total strength of the school to be more than 1000 students on the whole. In the year 1996, the First batch of Secondary section students wrote AISSE (CBSE Class X) exam and in the year 1998 the first batch Senior Secondary Section wrote AISSCE (CBSE XII) exam. The curriculum follows Continuos and Comprehensive Education by CBSE and all the classrooms were digitalized to teach the students in the modern way. Facilities: Digitalized classrooms, Bright and well ventilated classrooms, Transport facilities, Labs, Auditorium and so on. This school has secured excellent academic records in 2014-2015 CBSE examinations. Please refer the official website to know the latest official notification regarding the admission for the next academic year. This is only one DAV school in Kolkata. This is a co-educational centre for education which provides education to all children to attain all round, balanced and harmonious development according to their personality. It is affiliated to the Central Board of Secondary education (CBSE) of New Delhi and its affiliation number is: 2430038. Most of the students of this school have secured a minimum of 95% of marks in the recent CBSE XII examination. Facilities: The facilities such as senior computer lab, junior computer lab, physics, chemistry, biology labs, art and craft room, sports room and indoor games and so on. The minimum age for the admission of LKG is 3+. Please check the official website for any official notification for the admission of higher classes. Seats and admission are available only through merit basis and seats availability.